Historic news from NLGJA and UNITY this morning. The NLGJA board has unanimously voted to accept an invitation to join UNITY as a full member. 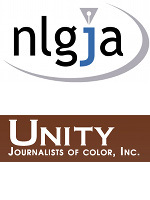 We will be joining our colleagues at the National Association of Hispanic Journalists, the Asian American Journalists Association and the Native American Journalists Association as the newest member of UNITY and will participate in the UNITY 2012 Convention in Las Vegas to be held Aug. 1-4.